SCC Family Movie Night – Friday, September 21st 7 PM at the Church. Save the date for a fun night out with the family! 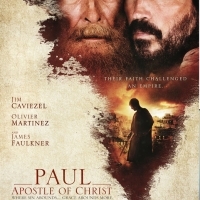 Adults will be watching the movie: Paul, Apostle of Christ. A children's movie will be played.